Children: Two boys and three girls, aged between 37 and 27. 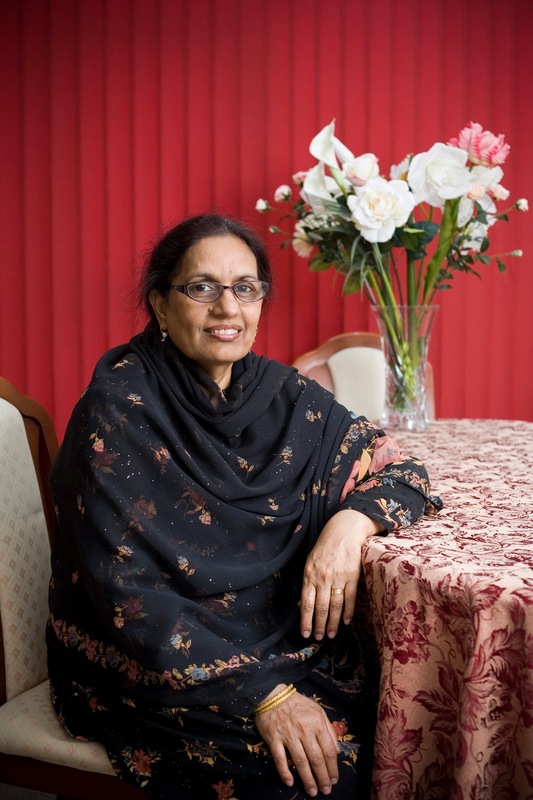 Location: I was born in Pakistan but all my children were born and raised in Manchester. Expectations of Motherhood: I was the oldest of 10 children, and helped looked after them when they were little so I had a lot of experience in dealing with babies and toddlers. Looking after my siblings came quite naturally to me so I imagined it would be similar to that! Reality of Motherhood: I came to England when I was married aged 19, and didn’t have any of my family to help so it was very difficult dealing with bringing up small children in a country I wasn’t completely familiar with. Although I am fluent in English now, it was very difficult at first as I couldn’t really communicate with people properly and so had to deal with everything myself. Taking your child home for the first time: It was an amazing experience, I couldn’t believe they were my little babies and wanted to show them off to the world. Back in those days they kept you in hospital for 7 days, and taught you absolutely everything you needed to know from changing nappies, bathing them, winding them, everything! They really prepared you in every way. After you were sent home a midwife would visit every day for the first week, and then every couple of days for the next two weeks. The best advice: My mother always taught me to trust my gut feelings and that was brilliant advice. Worst advice: I was told not to pick up my baby too much as it spoils them and it will give them the habit of being held all the time. To be honest, I didn’t really listen to that and just wanted cuddle my baby all the time. The hardest parts of being a mother: It’s hard when I tried to give my children advice and they would always think they know best. They are all grown up now and my daughters have children themselves, and they often say I was right! The best parts of being a mother: It’s lovely having a big family, it’s wonderful when the house is full and everybody is talking and laughing. They are like my best friends now and it’s all been worth it. Hopes for your family: I pray they all remain happy and healthy and we all stay close to each other. What advice would you offer to new and expectant mums: Don’t read books on how to look after babies. Always listen to your own mother’s experience, and follow your gut instinct always. Love it! My husband and I threw the books out pretty quickly after the arrival of our first born. Too much conflicting advice and not enough common sense! Fantastic advice. Once you have kids, you suddenly realise how much your own Mother has taught you. I'm going to prepare my children well too, boy and girl, so there are no suprises and they are the best they can be. I love this lady's story. I can't imagine the isolation of being in a strange country, with no support network & not speaking the language, yet she took it in her stride. Wish services still offered that intense level of support to new mum's.